In The Reluctant Fundamentalist, the career and personal life of Princeton-educated Pakistani Changez Khan (Riz Ahmed), a brilliant financial analyst under the aegis of Wall Street guru Jim Cross (Kiefer Sutherland), is on a steep upward trajectory. Then 9/11 happens. Changez, who loves the U.S. for having helped him realize his dreams, nonetheless evinces a good-on-them smirk when watching the World Trade Center attacked. As if mirroring his own duality of mind – about where his political, emotional and spiritual loyalties lie – his business colleagues start keeping their distance. Tired of being targeted by law enforcement, and with his relationship with Erica (Kate Hudson) going downhill – turns out she’s not above using Islam as a jumping off point for her art – he opts to return to his native country. 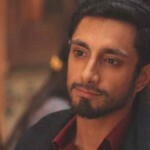 Directed by Mira Nair and based on Mohsin Hamid’s novel, The Reluctant Fundamentalist is a study in Saturnine self-definition. The movie goes back and forth in time and locales – when life for Changez was good in New York and now, as a militant university professor in Lahore, Pakistan, in 2010, which is bursting with student demonstrations. Here Changez has agreed to an in-depth interview with American journalist Bobby Lincoln (Liev Schreiber) who’s also seemingly serving two masters. Has Changez had any involvement with in the abduction of a Westerner? Is he, at the core, a terrorist? And what are the moral stakes for Lincoln? Turns out this duo have a lot in common. Early in the movie, Changez tells Lincoln, “Looks can be deceiving.” The movie makes the process of self-definition – the only route to self-mastery, after all – of both these characters its primary focus. A lifelong task, coming to grips with one’s essence determines self-expression, for good or ill. As Changez tells one job interviewer, “Whether or not you hire me, I’m going to win.” Whether, at movie’s end, he’s the victor of his own life is no easy question.